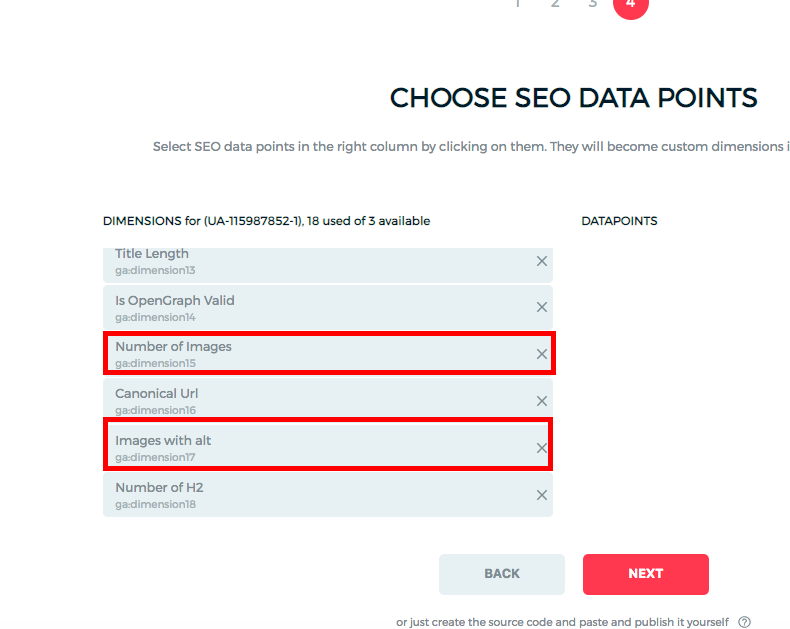 Today, we are looking at how to automatically find the number of images and if they have alt text using the Number of images and Onpage Hero custom dimensions. 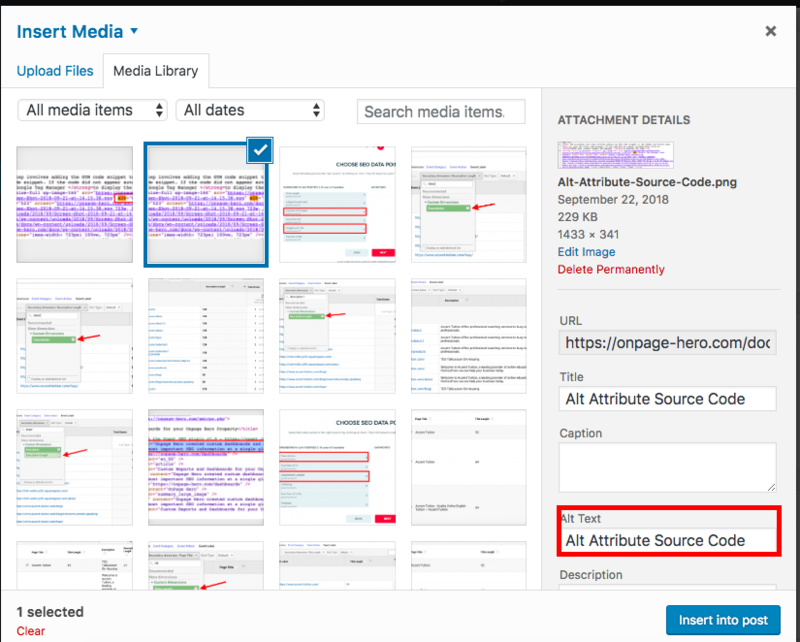 Firstly, make sure you have the Number of images and Images with alt dimensions selected as part of your Onpage Hero plan. Free plans allow you to add up to 3 datapoints, whereas paid plans allow up to 20. The options on the left show the datapoints applied to this property. 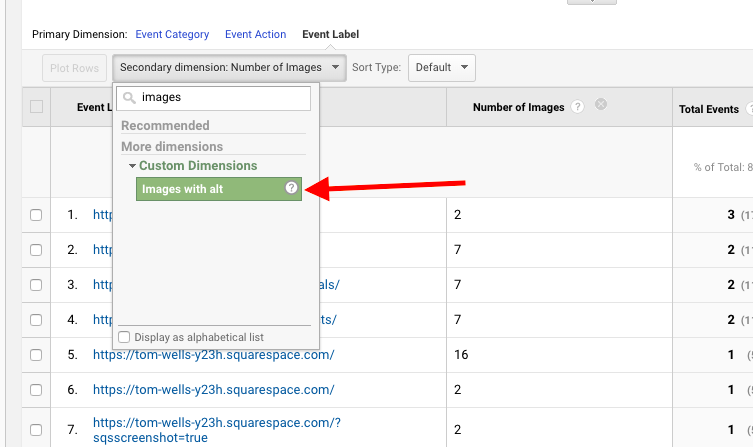 Select the dimensions Number of Images and Images with alt, click NEXT, then VIEW ANALYTICS to jump into your Google Analytics property. Images are important because Google may use them as a ranking factor when analyzing content. Aside from the SEO value, images provide a better user experience as they break up text and make for a more interactive user experience. Try to add one image to each <h1> <h2> or <h3>tag. Alt attributes are fallbacks for when a HTML element cannot be rendered correctly. Alt text is commonly used for images. If an image does not load, the alt text is displayed instead. Alt texts are usually signified alt=” ” within the <img> tags. Why are alt attributes important? They aid visually impaired users to understand online content. Alt text is shown if an image cannot be loaded. Fortunately, CMS platforms like WordPress make setting an alt attribute easy. When you add an image, simply enter an alternative text in the Alt Text box before inserting it into a post. Your alt text should be descriptive. If the image doesn’t load, how can you keep your readers informed? Don’t stuff the alt-text with keywords. This is old-school black hat SEO and not good at all. Try to keep your alt texts unique. 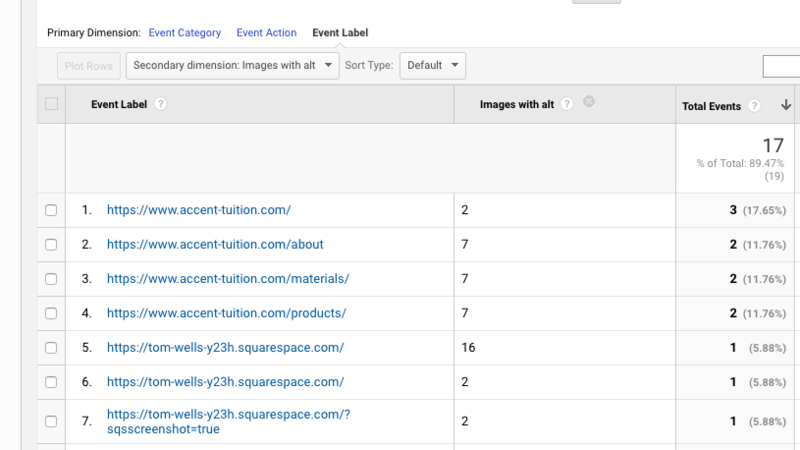 To find these custom dimensions in Onpage Hero simply navigate to your default view within in your Google Analytics property. Add number of images as a custom dimension. The results list each page and the number of images detected. Try to ensure each page has a reasonable number of images. One way to check if your page has a reasonable number of images is to compare the images to how many header tags your page has, or to the word length. Now, let’s see how many of these images have set an alt text. Add Images with alt as a secondary dimension. Ideally, each image should have an alt text. Comparing the results we can see we have an alt text set for each image. 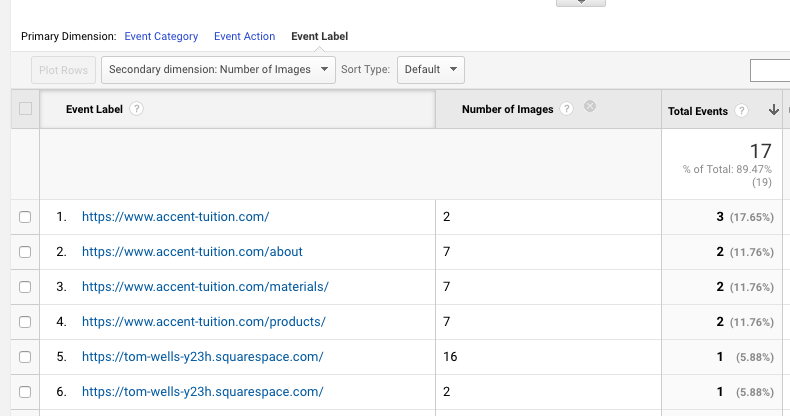 If you want to display number of images and images with alt side-by-side, then Onpage Hero has an awesome Google Data Studio custom report that does this for you. Head over to our dashboards page and get the Images report. This dashboard makes it really quick to detect missing alt texts. 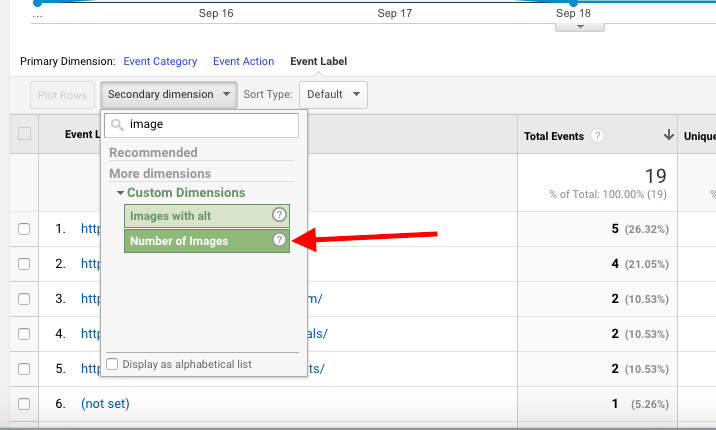 Use the Onpage Hero custom dimensions number of images and images with alt to ensure you have a reasonable number of images. Set an alt text for each image. Speed up your workflow by using the Images custom dashboard. Number of h2 is a custom dimension that shows the total <h2> tags for a given URL. Use a reasonable number of <h2> to structure data. Number of Words – check the word count per URL.